The first two pixels have been build and are being tested. These are exactly the same as the standard Cosmic Watch modules without the case. The SiPMs have not been wrapped in tape at this point. 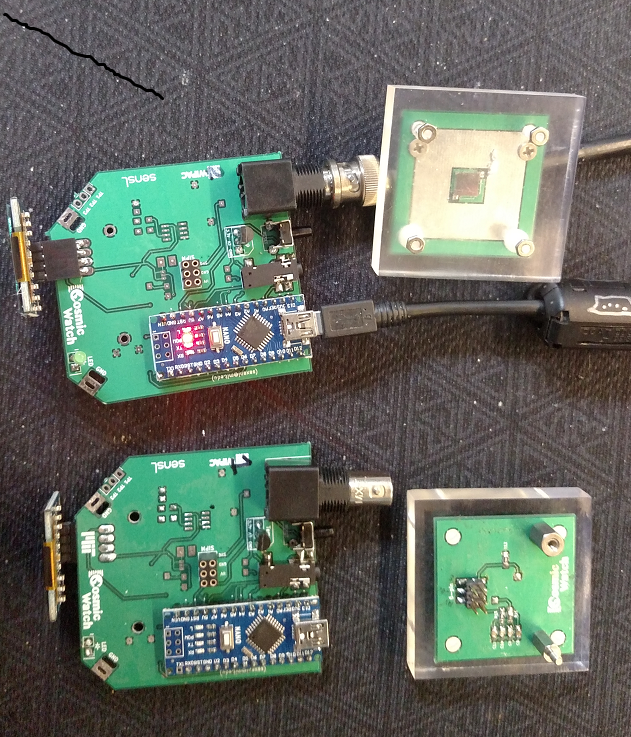 Two modules and SiPMs mounted on scintillator plastic slabs.